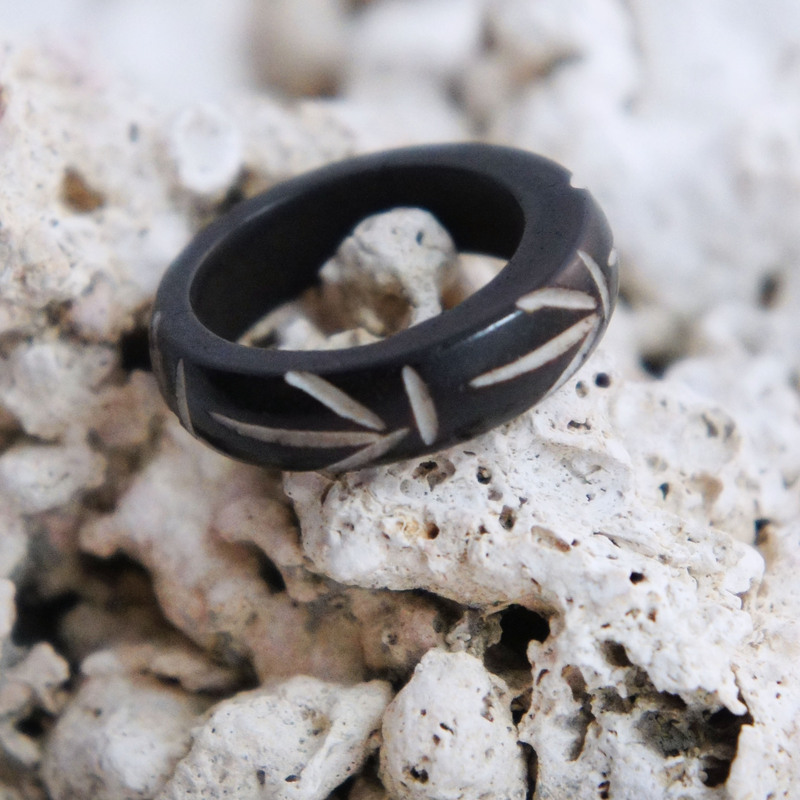 This horn ring was carved based on traditional Polynesian/Maori tribal designs. 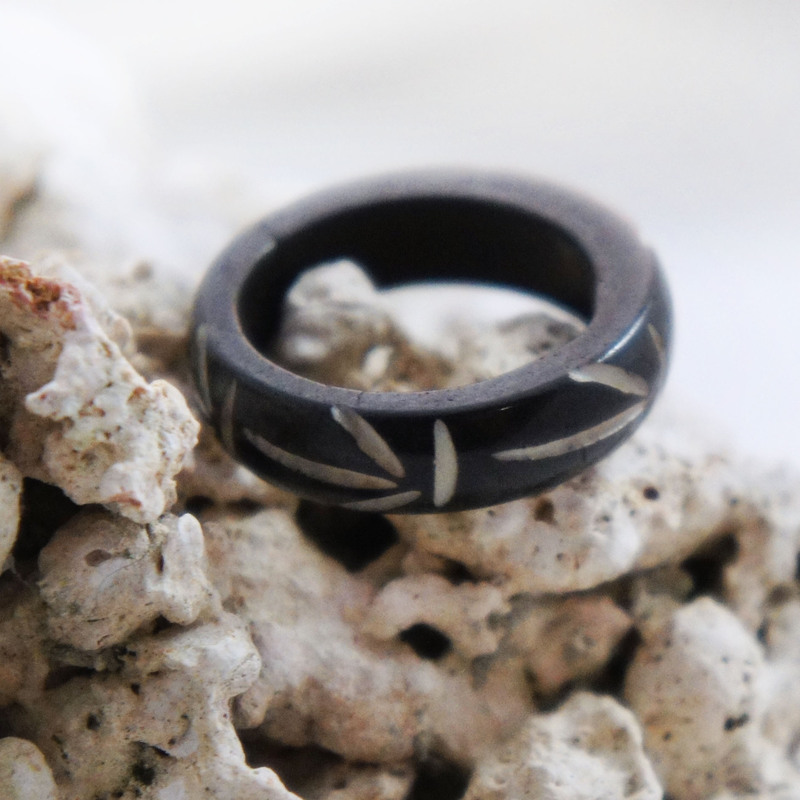 This ring has a firework design that is repeated on the ring to create a seamless look. 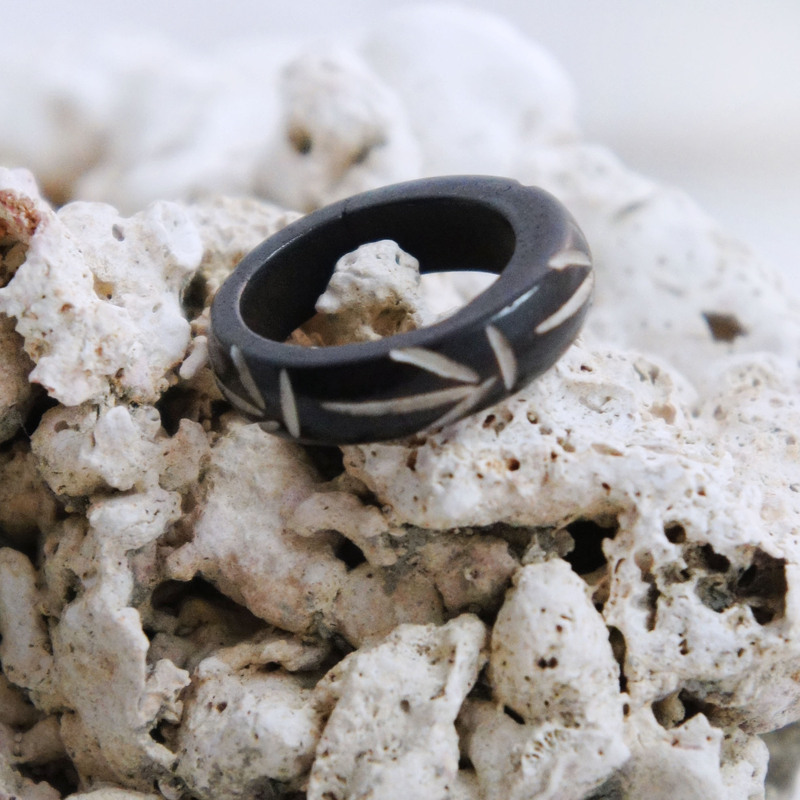 Our rings are carved to enhance the natural texture of horn creating a beautiful piece of organic jewelry.